I’ve always loved the blue against the pink in this image above. I focused on one limb, with the rest of the image out of focus, to enhance that depth and dimension. Funny enough, my husband doesn’t love the “partially blurry images” because he has bad eyesight and he says it makes him feel like his eyesight is worse, ha! Photographs are one-dimensional. Whether it’s a print on paper or an image on the computer, it’s flat. Adding perceived dimension to a flat image is what sets great photography apart from run-of-the-mill point and shoot images. Dimension in photography adds a lifelike or realistic quality to an image — this is also called depth of field. It feels like it’s two- or three-dimensional, like you could reach out and grab it. 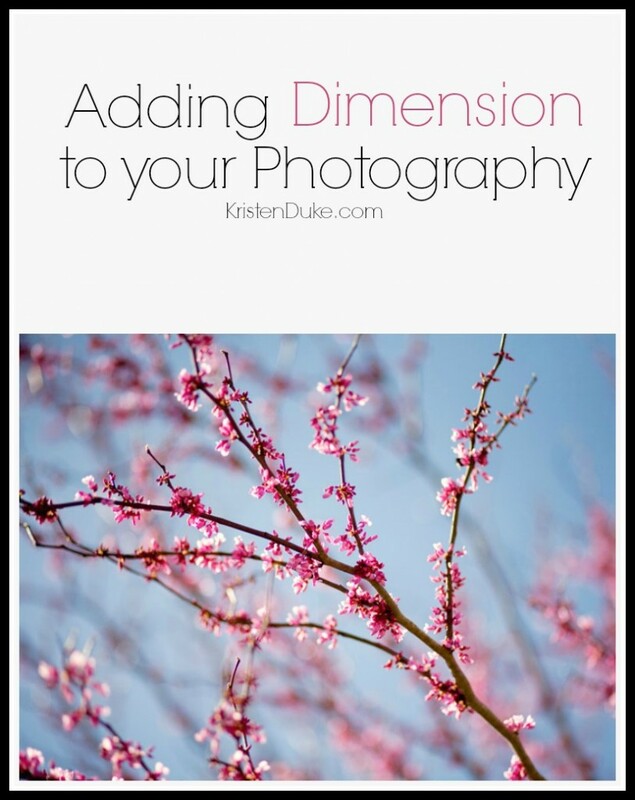 I’ll share a few ways to add dimension to your images using certain lenses, as well as aperture, distance, and framing. Aperture: Knowing how to control and manipulate your aperture is one of the key aspects of great photography. Many factors are involved, such as using the proper lens that allows for a wide aperture. Shooting wide open translates into a low number, such as f1.4 or 1.8. With this wide aperture, it will allow your main focal point to be crisp and in focus with the background blurred or out of focus, creating depth or dimension to the image. Distracting elements will be thrown out of focus, drawing the eye into the subject. 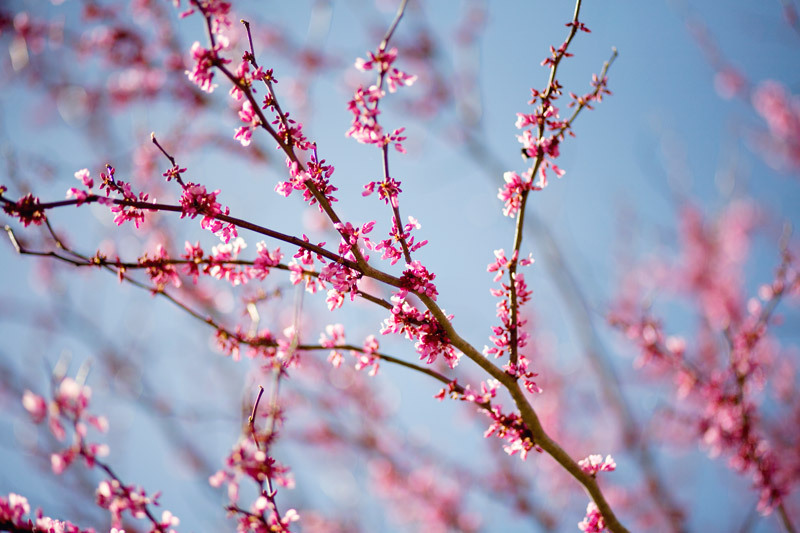 In the image below, I captured a tree limb budding with beautiful pink flowers across a perfect blue sky. I set my aperture to 1.4 and focused on just one of the tree branches; this left the rest of the image slightly blurred. It seems more realistic and lifelike with that added dimension, with a more artistic quality to the image. Distance: Creating distance between the subject and the background also allows for greater dimension in an image. The short distance from the palm of your hand to your shoulder is enough to create depth when holding an object out at arm’s length. 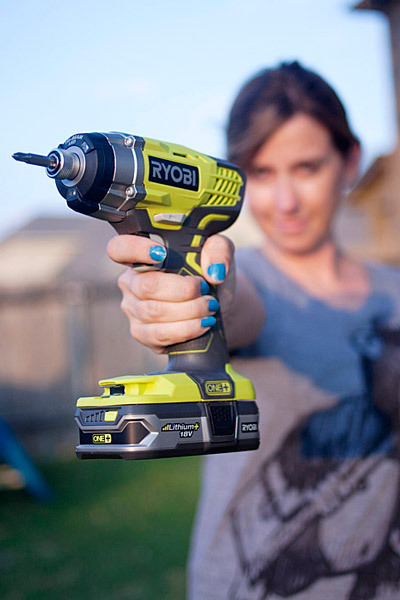 Whenever I am photographing a small product that fits in a person’s hand, I like to imitate the image below, with the focus set on the object and the person blurred in the background. A lower aperture number (1.4) also helps achieve this look. Likewise, standing 3-5 feet away from a background wall will create more depth (even at the same aperture) as it would if the subject has their back right up against the wall. Framing: Using the foreground to frame a shot creates a unique perspective for the viewer. Whether I’m photographing a room, people, or objects, having the foreground just out of focus creates more visual interest to the subject in focus — it draws the eye in. Lenses: I fell in love with my 50mm lens from the moment I got it. But when I tried out the 85mm, I fell even harder! The bokeh, or background blur from the 85mm is so much more prominent on the same aperture setting, which enticed me to never take it off of my camera. The 85mm lens is my go-to lens for individual portraits, and I even use it for family shots when I have enough space to step back and still capture the entire family. Because it is more of a zoom (35mm more), it creates more depth. 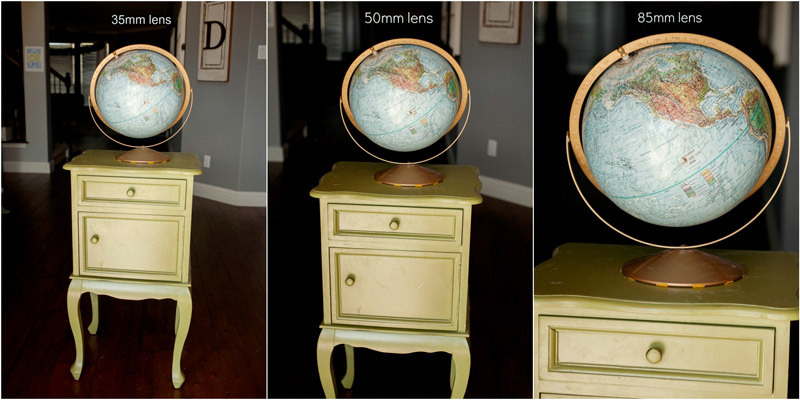 Below is an example of how the dimension varies, displayed from 35mm-50mm-85mm lenses. So if you’d like to add dimension, or more lifelike qualities to your images, follow the suggestions above. Understanding how to use manual settings (Say NO to Auto! ), will greatly increase the power of using these tools as well. 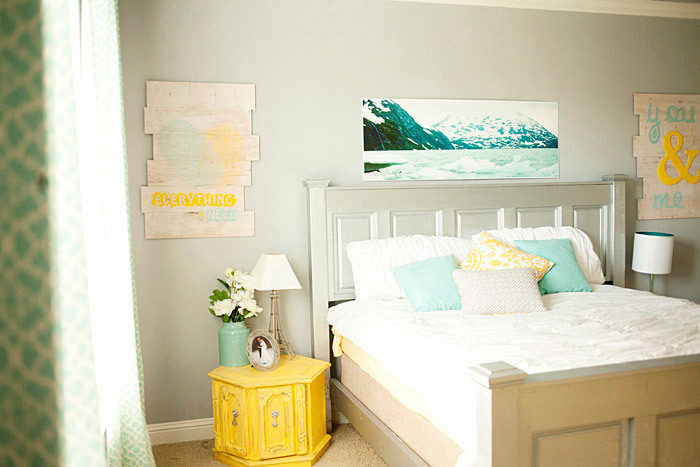 Images taken on the automatic setting are much more flat, or one-dimensional. Shooting on manual settings allows you to use the depth and dimension in the steps above. Success! Now check your email to confirm your free subscription to our newsletter!